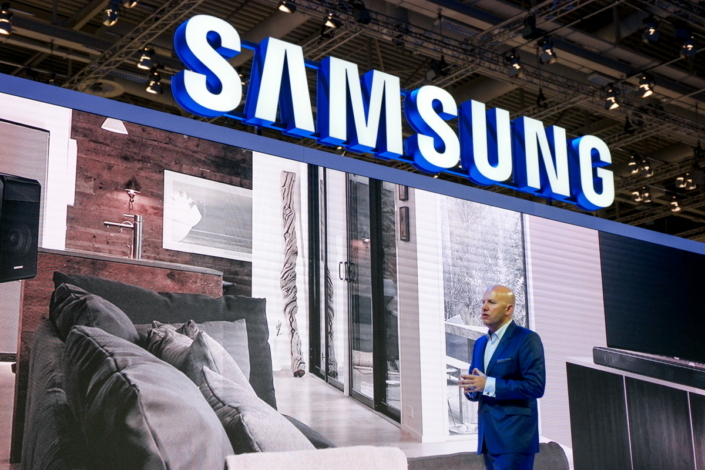 Samsung opened its IFA 2016 press conference in Berlin with a simple yet bold pledge: to redefine the consumer experience. 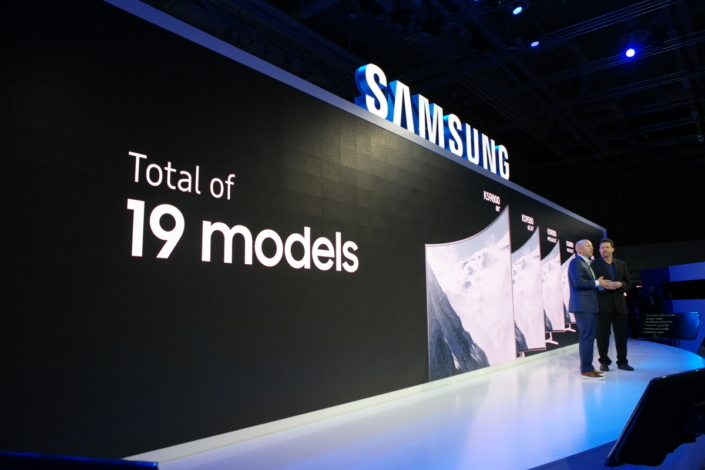 Over the next 45 minutes, in presentations that delved into the company’s European roots, and with the announcements of new products and partnerships expanding its home entertainment, visual display and home appliance offerings, Samsung demonstrated just how much it has already delivered on its vow. 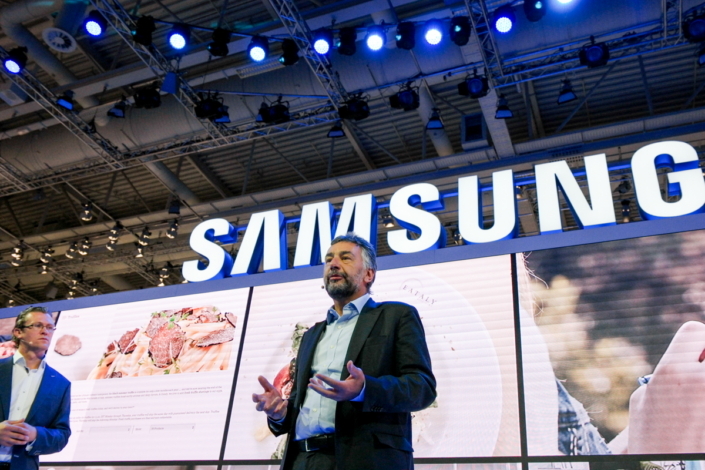 Those attending the showcase at the heart of Messe Berlins’ CityCube arena were welcomed by David Lowes, Chief Marketing Officer of Samsung Electronics Europe, who began by noting the company’s ongoing investment in the continent that 14,000 of its employees call home, as well as its drive to deliver innovations tailored to European consumers. After the introduction, Michael Zoeller, VP and European Head of Visual Display at Samsung Electronics Europe, kicked off a morning of exciting reveals with new additions to Samsung’s Quantum dot display range, briefly tracing Samsung’s pioneering research with the technology, which allows its SUHD TVs to offer the most true-to-life viewing experience available today and enable Samsung TVs todisplay up to one billion colors. He also revealed the world’s largest Quantum dot TV—the 88-inch KS9800—and the first curved Quantum dot PC monitors. 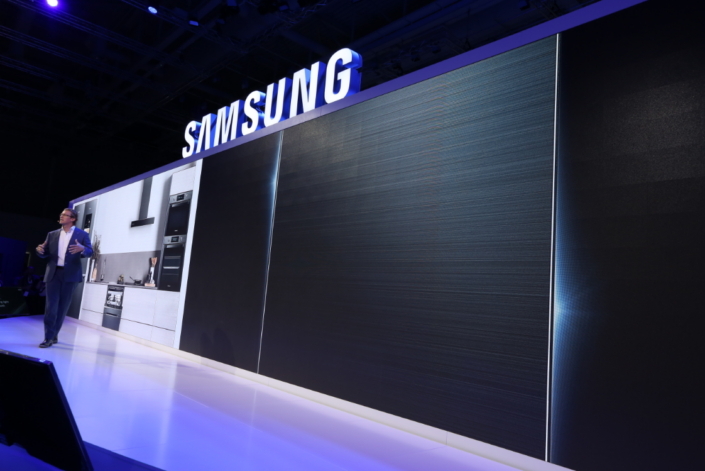 Later, Won-Jin Lee, Executive Vice President of Samsung Electronics, took to the stage to announce further steps to enrich the viewing experience in the intuitive Samsung Smart Remote and enhancements to Smart Hub, allowing users to more seamlessly find and launch premium content on their Smart TVs. As Mr. Lee told the crowd, “Great television is not just about outstanding picture quality; it’s also about amazing content,” which is why Samsung is strengthening its relationships with partners such as Netflix and Amazon to deliver high-quality HDR (high dynamic range) content for European users to view on the outstanding SUHD TVs. 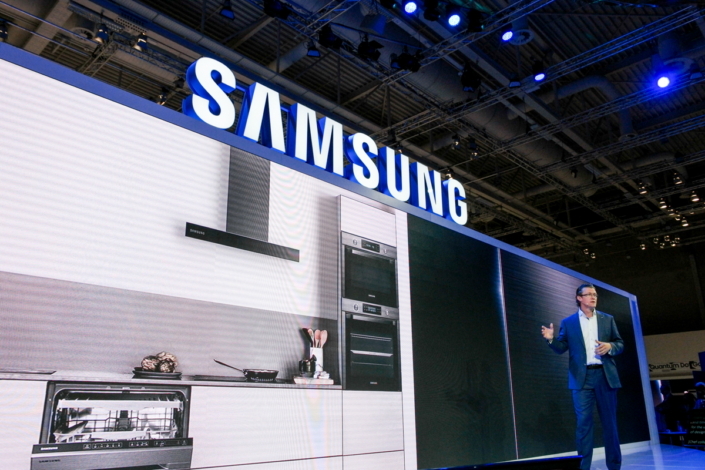 Other highlights of the event included the unveiling of new additions to Samsung’s AddWash line of washing machines, as well as the announcement that Samsung’s Family Hub refrigerators are finally coming to Europe and will feature a Club des Chefs app—a reveal made by three of the Club’s Michelin-starred members themselves: Michel Roux, Michel Troisgros and Elena Arzak. Samsung wrapped up the showcase by highlighting another vow: its commitment to use technology to enrich European communities. Evelyn Nicola, Sustainability & Citizenship Manager of Samsung Electronics Europe, discussed the company’s Smart Classroom and Digital Academy programs, which teach European students valuable digital skills that will boost their employability. Samsung’s goal with the programs, Ms. Nicola said, was to reach 400,000 students by 2019—a figure, she was pleased to announce, that will be eclipsed later this year. 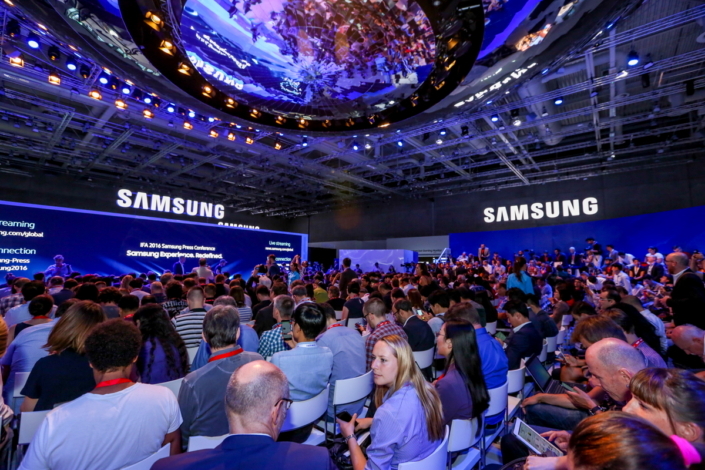 At the end of the event, attendees were invited to experience Samsung’s enriching innovations firsthand. In case you missed it, check out the highlights below. 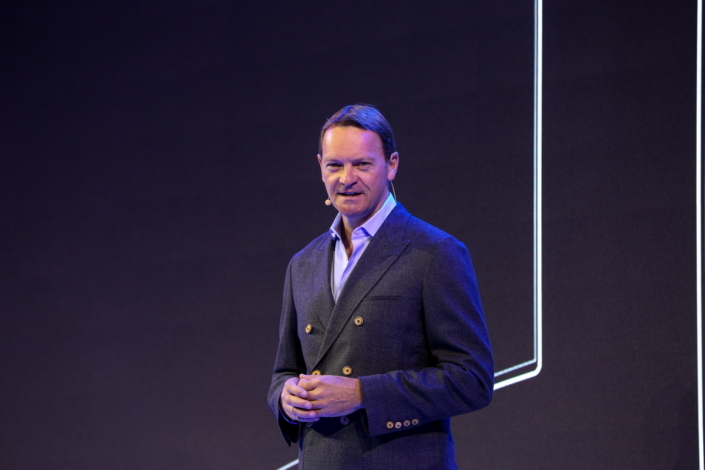 David Lowes, Chief Marketing Officer of Samsung Electronics Europe, describes Samsung’s history on the continent, where it employs 14,000 people. 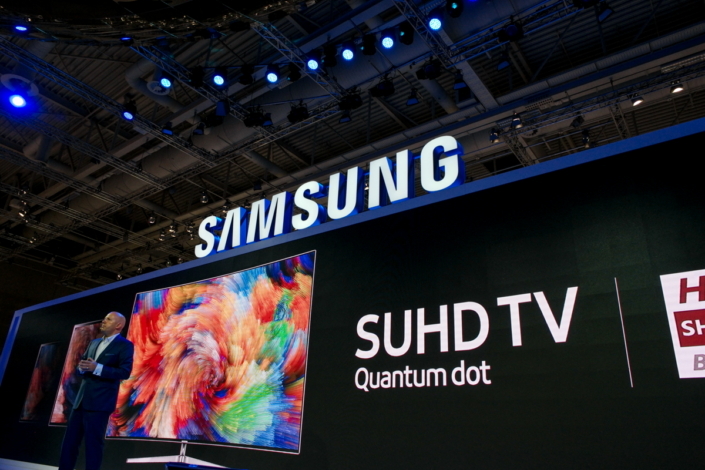 Michael Zoeller, VP and European Head of Visual Display at Samsung Electronics Europe, reveals Samsung’s new lineup of SUHD TVs, including the world’s largest Quantum Dot TV. Samsung’s new lineup of Quantum Dot SUHD TVs includes 19 models—the broadest SUHD lineup Europe has ever seen. 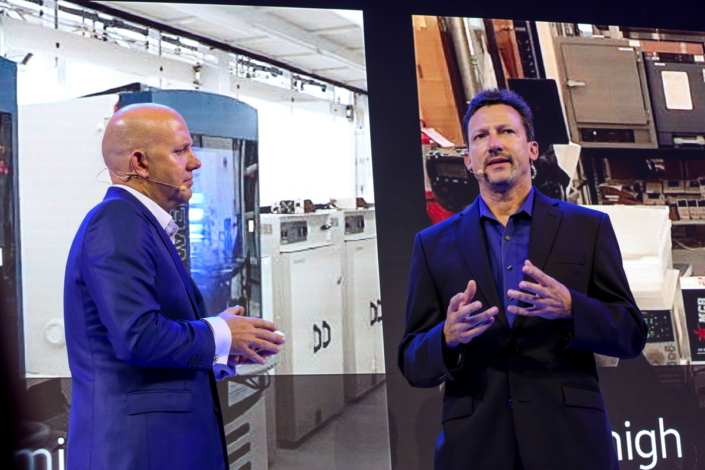 Jason Hartlove (right), President and Chief Executive of Nanosys, one of the leading developers of Quantum Dot displays, elaborates on how the technology works. 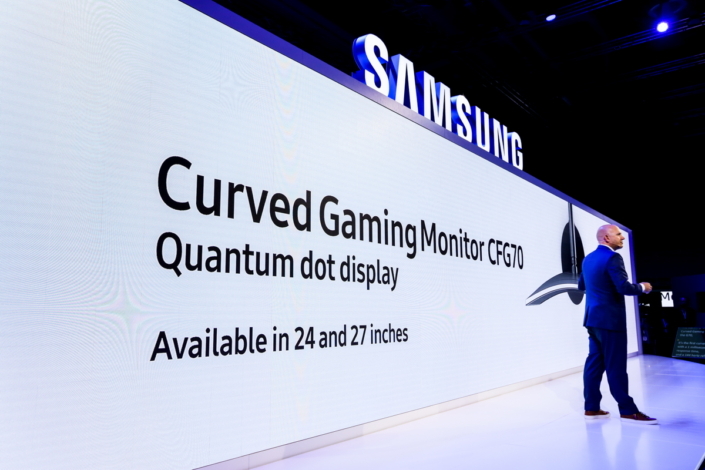 Samsung also unveiled the world’s first curved Quantum Dot PC monitors. 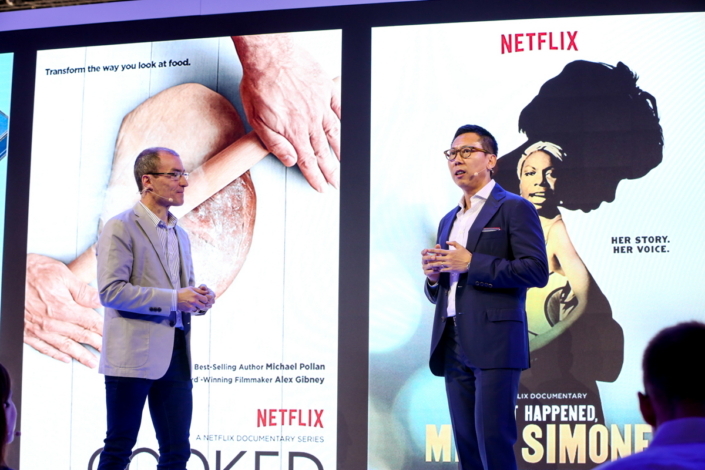 Won-Jin Lee (right), Executive Vice President of Samsung Electronics, and Scott Mirer (left), Vice President of Device Partner Ecosystem at Netflix, announce an expansion in their companies’ collaboration to offer more HDR content for European customers to stream on Samsung’s SUHD TVs. After introducing key additions to its TV offerings, Samsung, the European market leader in home audio products, rolled out its latest speakers and soundbars designed to deliver a crisp, theater-like sound experience. 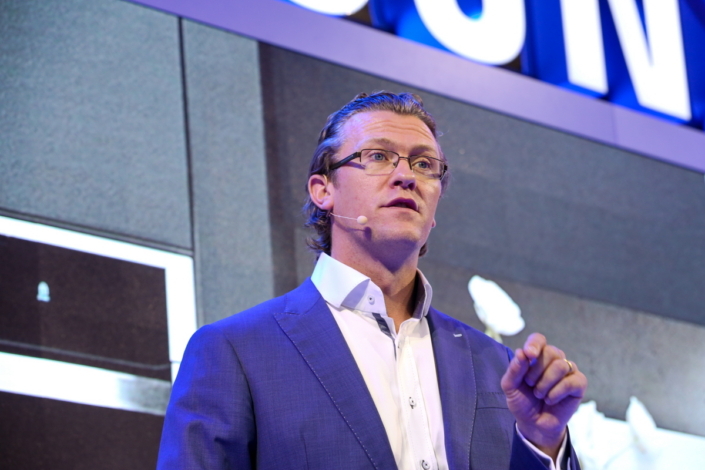 Dan Harvie, Director of Digital Appliances, Samsung Electronics Europe, reveals the new additions to Samsung’s popular washing-machine catalog—the number one choice of consumers in France, Spain, Italy and the UK. 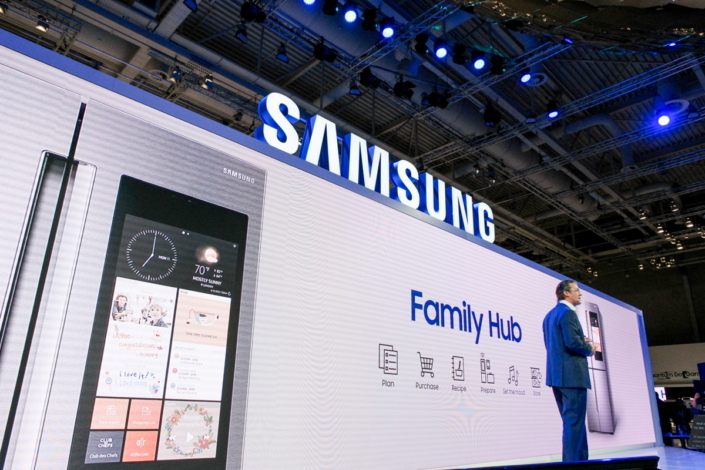 Samsung also announced that its Family Hub refrigerators, another example of how the company is redefining the kitchen experience, are finally coming to Europe. Samsung reveals an expansion of its lineup of premium built-in refrigerators with the Black Caviar edition, crafted with a gorgeous coat of black nano-ink. Samsung’s new built-in refrigerator: designed specifically with the European market in mind, and stunning inside and out. Andrea Casalini, CEO of Global E-commerce Division for EATALY, describes a new partnership that will allow Family Hub users to purchase his company’s authentic Italian foods straight from their refrigerator. 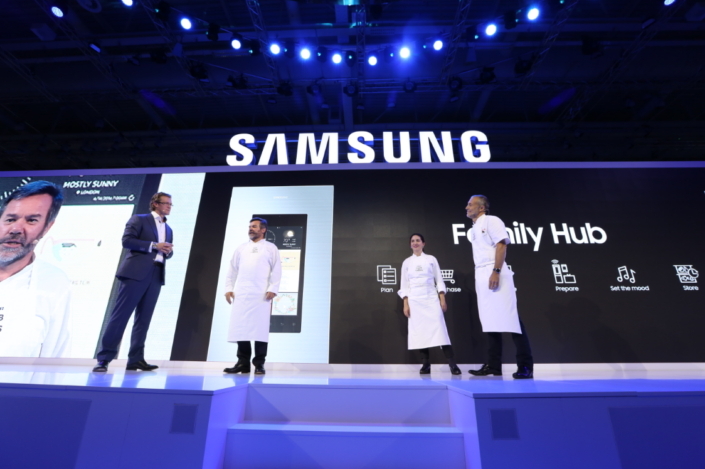 Michelin-starred members of Samsung’s Club des Chefs, Michel Troisgros, Elena Arzak, and Michel Roux, announce that the new Club des Chefs Family Hub app will allow consumers to cook their exquisite dishes from the comfort of their own home. 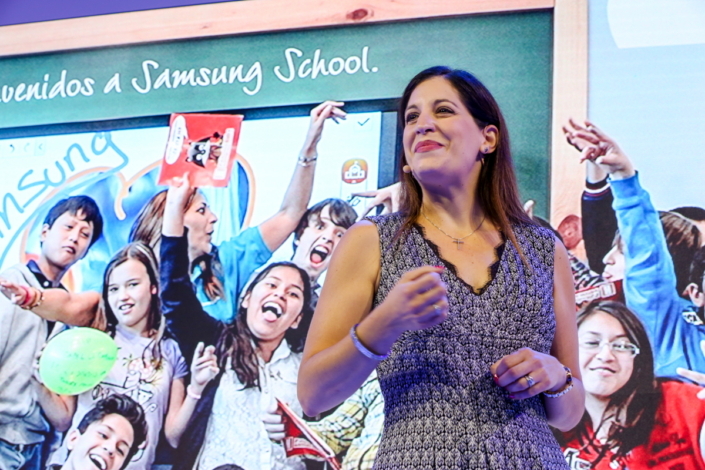 The main focus of the press conference was enriching consumers’ experiences, but Evelyn Nicola, Sustainability & Citizenship Manager of Samsung Europe, also outlined initiatives Samsung has taken to enrich communities, including its Smart Classroom and Digital Academy programs in Europe. 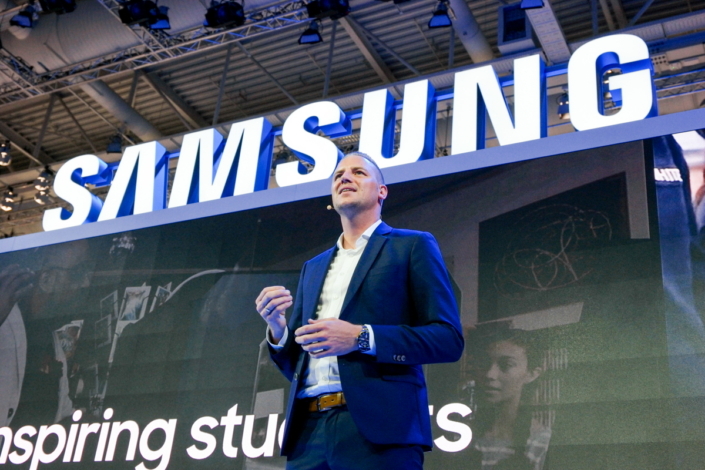 Andreas Langfeld, General Manager of MakerBot, the global leader in 3D printing, elaborates on the company’s partnership with Samsung, which will equip and train teachers and students in European markets to use the technology.